Enstatite occurs in a wide variety of colors ranging from reds and oranges, which are the most common, to yellows and greens, white, and colorless. This gem has been identified in meteorites, and is believed to be one of the early stages of crystalline silicate formation in space. Hypersthene (Mg,Fe)2Si2O6 biaxial negative SG 3.45 (+/-0.05). 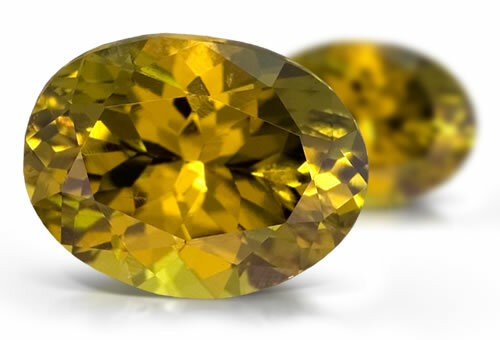 Enstatite might show 6 rayed star or cat's-eye. Cat's-eye enstatite will have black needle-like inclusions.